What we need are needles. Needles and baubles. 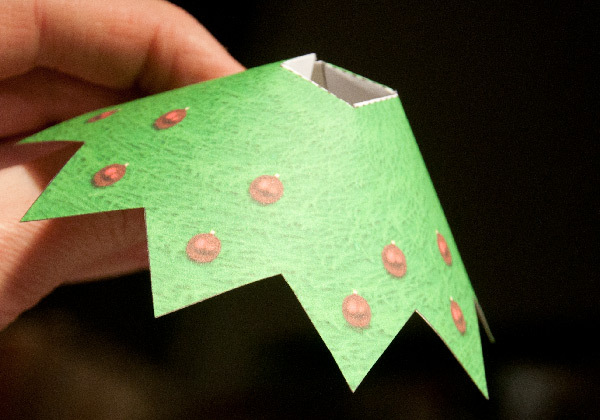 The problem is that as the branch part of the Christmas tree is wrapped round, the needle texture needs to be wrapped round as well. Here is one possible solution using the all powerful PhotoShop. 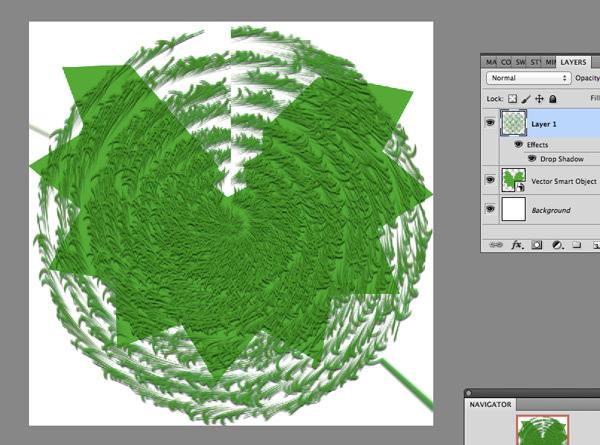 I've started off by copying the branch outline from Illustrator and filling it with green. 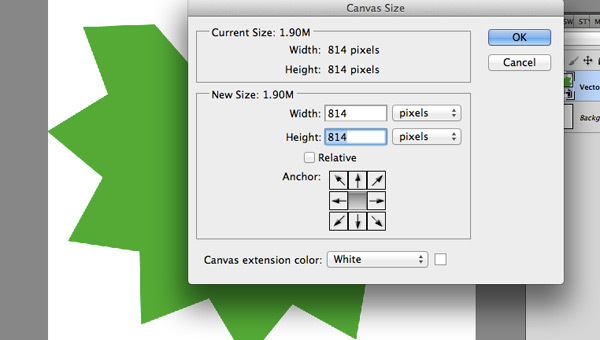 Use Image -> Canvas size to make sure that the canvas is exactly square. Add a new layer for the needles. 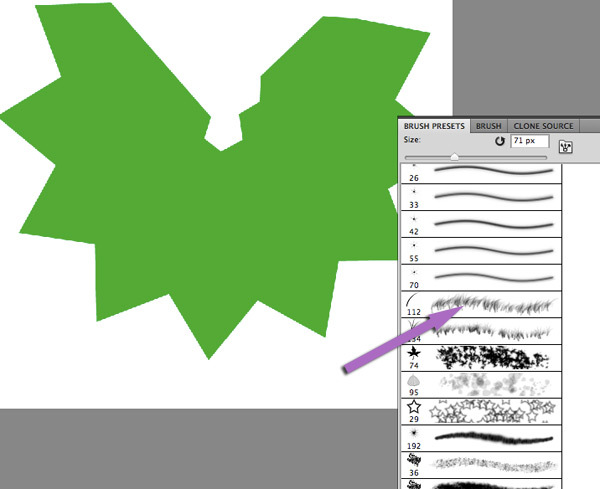 Choose the Dune Grass brush in the brush presets list and set the brush size to around 50 pixels. Set the foreground colour to a light green and the background to a dark green. 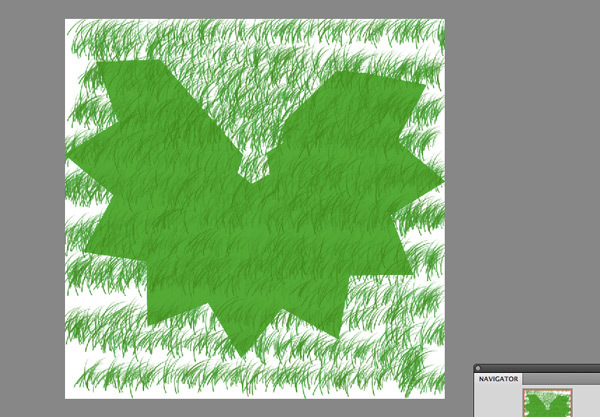 Sweep the brush over the new layer to completely cover it in grass. Add a small drop shadow in the layers window using the setting above. 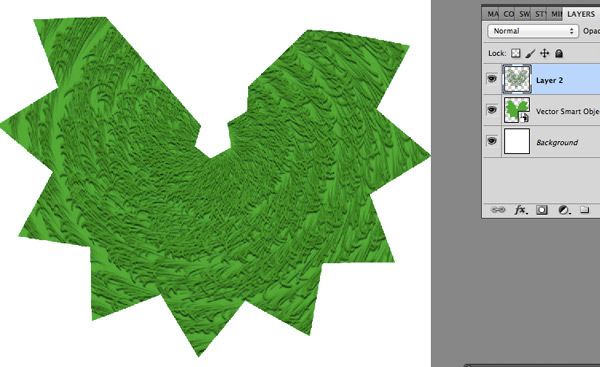 Click on Filter -> Distort -> Polar co-ordinates. This is the step that neatly wraps the effect round for you. 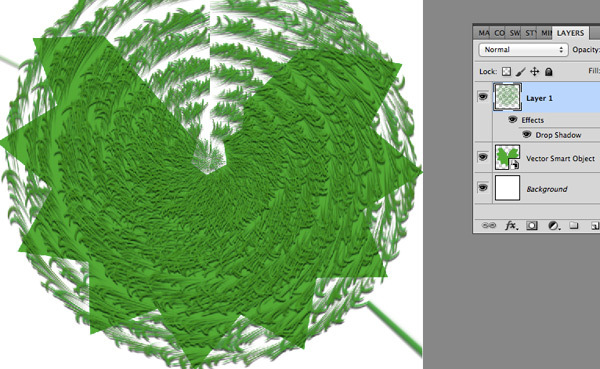 With the Move Tool, move the new layer so that it is centred over the centre of the branch and resize it if necessary. Create a blank layer above the needles layer. 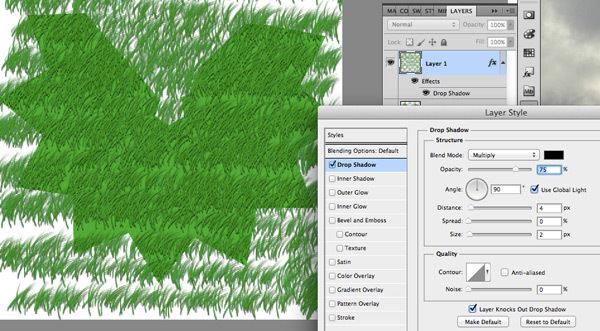 Select the new layer and the needles layer and select Merge Layers. This flattens the drop shadow effect into the needles layer. Click to select the branch layer. 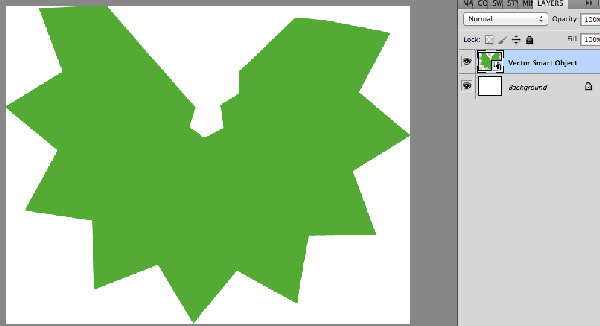 Use the magic wand tool to select the branch outline. 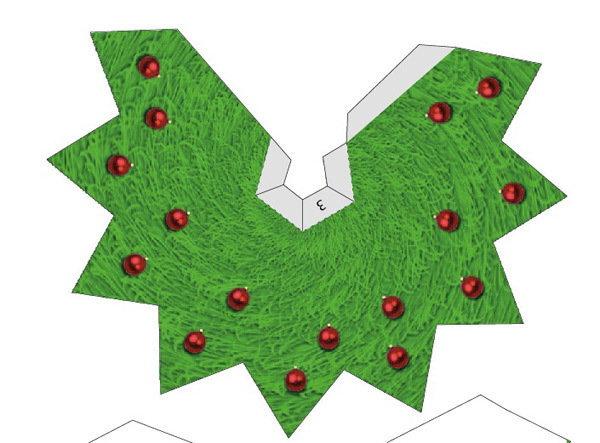 You should see the marching ants round the outline. Select the needles layer. 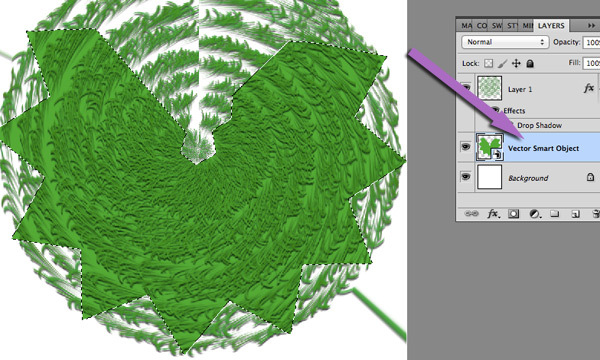 (Layer 2 above) Click on Select -> Invert selection and delete the excess needles. That's it! 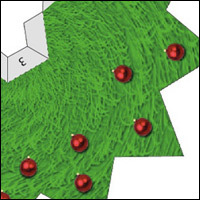 Add the baubles – perhaps the subject of another tutorial!